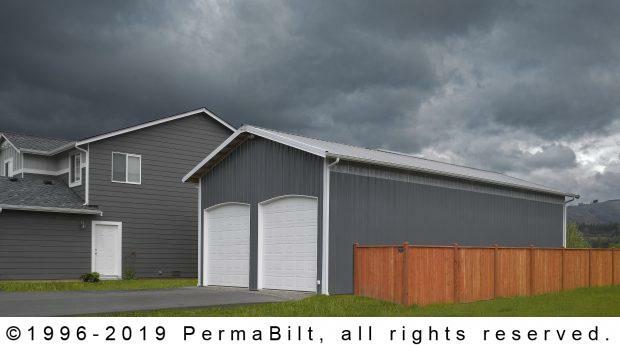 Many of our PermaBilt® customers need garages that match their home or an adjacent building. 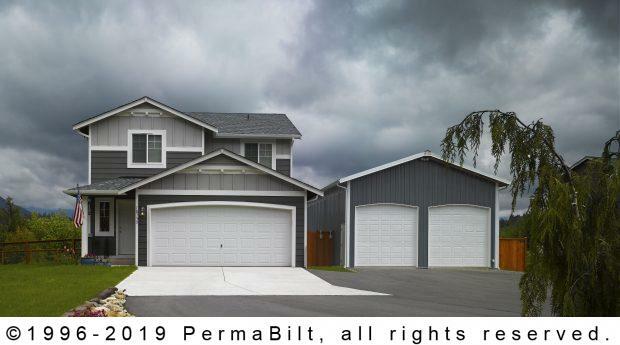 Our new customer in Granite Falls Washington was no exception, he needed a new two car metal garage that would seamlessly match his house and the attached garage. In constructing his new garage, we added a top ridge vent, eave and gable overhangs as well as gutters and downspouts. 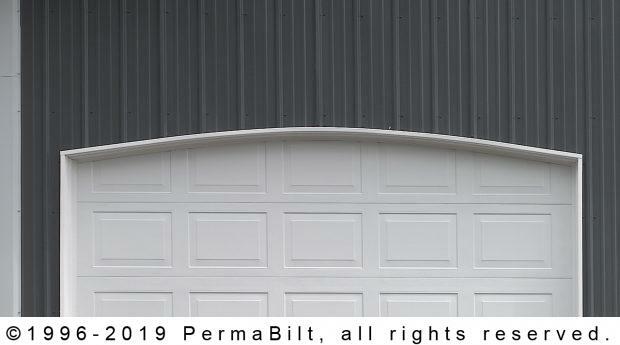 In addition, we put in a 2’ poly eave-light running the length of the metal garage which provided natural interior light. To duplicate the adjoining garage’s aesthetics, each of the two 10’ x 8’ raised panel steel overhead steel garage doors had an arched top. 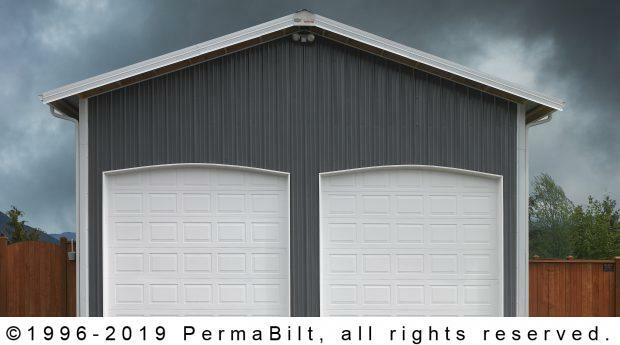 To gain access to the building, a PermaBilt® 3’ x 6’8” door was put in the back facing his home. When the two car garage was finished, it looked like it was built at the same time as the other two buildings.